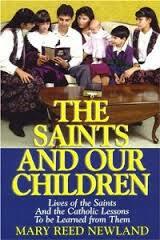 Mary Reed Newland was Catholic down to the tips of her toes. And she passed it onto her children and shared with us her gems. In The Year and Our Children I learned about the feast days and the special holidays and how to celebrate them in a thoroughly Catholic manner. After reading her book, we began to have a puppet show on St. Nicholas Day, complete with instructions on how to make the simple, inexpensive puppets. It became a tradition for many years. She has so many great ideas for the holiday season! It has always been inspiring to read her chapters on Advent and Christmas! She gave me ideas on how to have a little procession through the yard , making a crown of flowers for our Lady and crowning her at the end of the procession. Beautiful things like those that became such a help to me. I highly recommend her books! You won’t be disappointed! 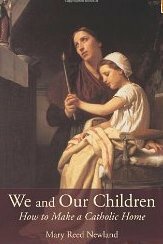 “For over half a century, Catholic families have treasured the practical piety and homespun wisdom of Mary Reed Newland’s classic of domestic spirituality, The Year and Our Children. With this new edition, no longer will you have to search for worn, dusty copies to enjoy Newland’s faithful insights, gentle lessons, and delightful stories. 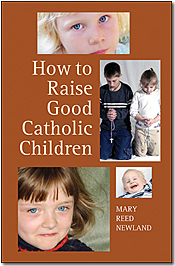 They’re all here, and ready to be shared with your family or homeschooling group. Here, too, you’ll find all the prayers, crafts, family activities, litanies, and recipes that will help make your children ever-mindful of the beautiful rhythm of the Church calendar.